LIVINGSTONE, Zambia, May 9 2016 (IPS) - Over 600 delegates representing at least 570 million farms scattered around the world gathered in Zambia from May 4-7 under the umbrella of the World Farmers’ Organisation (WFO) to discuss climate change, land tenure, innovations and capacity building as four pillars on which to build agricultural development. Among the local delegates was Mary Nyirenda, a farmer from Livingstone, where the assembly was held. “I have a 35-hectare farm but only use five hectares due to water stress. With one borehole, I am only able to irrigate limited fields. I gave up on rainfall in the 2013/14 season when I lost about five hectares of maize to drought,” Nyirenda told IPS. Privileged to be part of the 2016 WFO General Assembly, Nyirenda hoped to learn innovative ways to improve productivity and market access for her garden and poultry produce. But did the conference meet her expectations? “Yes it has, especially on market access. I’ve learnt that working as groups gives us a strong voice and bargaining power. I’ve been struggling on my own but now I understand that two is better than one, and so my task from here is to strengthen our cooperative which is still disjointed in terms of producer partnerships,” said Nyirenda, emphasising the power of farmer organisations – for which WFO exists. Convened under the theme ‘Partnerships for Growth’, the clarion call by delegates throughout the conference was to change the narrative that, while they are at the centre of a multi-billion-dollar food sector, responsible for feeding the whole world, farmers are the world’s poorest people. And WFO President Evelyn Nguleka says the situation has to change. “It is true that farmers in almost all corners of the world constitute the majority poor, but the question is why?” asked Nguleka while responding to journalists during the closing WFO General Assembly Press briefing. “It is for this reason that we developed a legal tool on contract farming, which will be mostly useful for smallholders whose knowledge on legal matters is low, and are easily taken advantage of,” said David Velde, president of the National Farmers Union in the U.S. and a board member of WFO. Velde told IPS that various tools would be required to help smallholders be well equipped to fully benefit from their work, especially in a world with an unstable climate, a sub-theme that found space in all discussions at the conference due to its multifaceted nature. With technology transfer being one of the key elements of the sustainable development agenda as enshrined in the Paris climate deal, delegates established that both innovation and capacity building for farmers to improve productivity cannot be discussed in a vacuum. “Agriculture is indeed a global sector that needs serious attention. The fact that a world farmers’ organization exists is a sign that food production, food security, climate change are global issues that cannot be looked at in isolation. Farmers need information on best methods and technologies on how best to enhance productivity in a climate conscious manner,” said Zambian President Edgar Lungu in his address to the WFO General Assembly. In the world’s quest to feed the hungry 793 million people by 2030, and and the projected population growth expected to reach 9.6 billion by 2050, more than half in Africa, WFO is alive to the huge task that its members have, which can only be fulfilled through increased productivity. “WFO is in recognition that the world has two conflicting issues on face value—to feed the world and mitigate climate change. Both require huge resources but we believe that it is possible to tackle both, through increased productivity using latest technology,” said William Rolleston, president of the Federated Farmers of New Zealand. Rolleston, who is also Vice President of WFO, told IPS that while WFO’s work does not involve funding farmers, it helps its members to innovate and forge partnerships for growth. It has long been recognised globally that climate change, if not tackled, could be a barrier to the achievement of Sustainable Development Goals (SDGs). And this presented, perhaps, the hardest of choices that world leaders had to make—tackling climate change, with huge implications on the world’s productive capacity, which has over the years largely relied on a carbon intensive economy. By approving the SDGs and the historic climate agreement last year, the world’s socio-economic agenda is set for a complete paradigm shift. However, WFO President Evelyn Nguleka wants farmers to remain the focus of the world’s policies. “Whatever changes the world decides moving forward, it should not be at the expense of farmers to survive and be profitable,” she stressed. 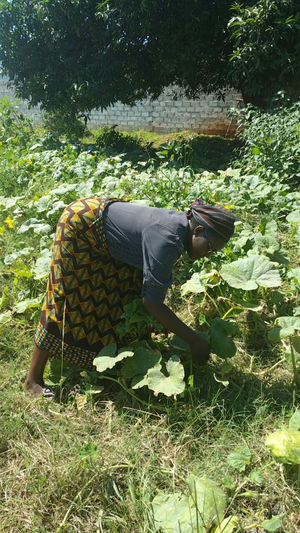 For Nyirenda, access to markets holds the key to farmers’ productive capacity, especially women, who, according to FAO, constitute half of the global agricultural labour force, while in Africa, the figure is even higher—80 percent. “My interactions with international organisations such as IFAD and others who are interested in women empowerment was a serious-eye opener moving forward,” she said.